Who is a good candidate for JUVÉDERM VOLBELLA? Designed to help patients achieve fuller, softer, and more youthful-looking lips, JUVÉDERM VOLBELLA is an innovative dermal filler from the same family of products as JUVÉDERM and JUVÉDERM VOLUMA. FDA-approved for patients 21 years of age and older, VOLBELLA can enhance your appearance by plumping and refining the contour of the lips, as well as smoothing fine lines around the mouth. Our skilled plastic surgeon oversees every treatment, and Dr. Richard Zeff is extensively trained in administering cosmetic injectables. As with all treatments, our goal is to provide you with exceptional and natural-looking results. 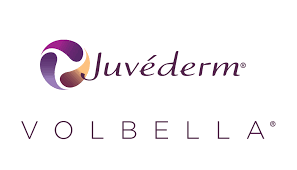 Who is a good candidate for JUVÉDERM® VOLBELLA? Many people can benefit from this non-surgical cosmetic injectable. If you’re 21 or older and your lips are thinner than you would like, either due to the natural process of aging or genetics, JUVÉDERM VOLBELLA can add volume virtually instantly with little to no downtime. Furthermore, if you have mild to moderate fine lines around the mouth, VOLBELLA can be used to soften and smooth these creases. Patients should be in good general health for this treatment and have reasonable expectations for the outcome. If you have additional aesthetic concerns you would like to address, our experienced physicians can provide guidance to help you achieve your desired results. Typically a brief procedure, JUVÉDERM VOLBELLA can be administered in as little as 15-30 minutes, and many individuals choose to schedule their treatment during their lunch break. A topical anesthetic is included in the formula, and most patients report little discomfort. We use ultra-fine needles to deliver the injectable into a series of targeted locations in and around the lips. Once complete, you should see immediate improvement in the treated area. Some minor bruising, swelling, and tenderness is normal, and these effects should fade within a day or two. You should be able to return to normal activity after your visit. Like other hyaluronic acid-based dermal fillers, JUVÉDERM VOLBELLA offers lasting but temporary results. Most patients can expect the benefits to continue for up to one year, and occasional re-treatment can be administered to extend the effects if desired. One of the many benefits of cosmetic injectables is the brief downtime. Most patients return to their normal schedule immediately following treatment. Some bruising, tenderness, and redness is common, and these symptoms should subside quickly. Makeup can be applied to help cover these effects. If you’re dissatisfied with the appearance of your lips and wish you could achieve a fuller, more youthful-looking pout, contact our medical team for more information about JUVÉDERM VOLBELLA today. $400 for second syringe on same treatment day.